This comparison shows that X-ray emission from the Virgo cluster comes primarily from a giant gas or plasma cloud around giant M87. The material in this cloud has a temperature of 10-100 million degrees, and is spread over a volume about 1 million light-years across. 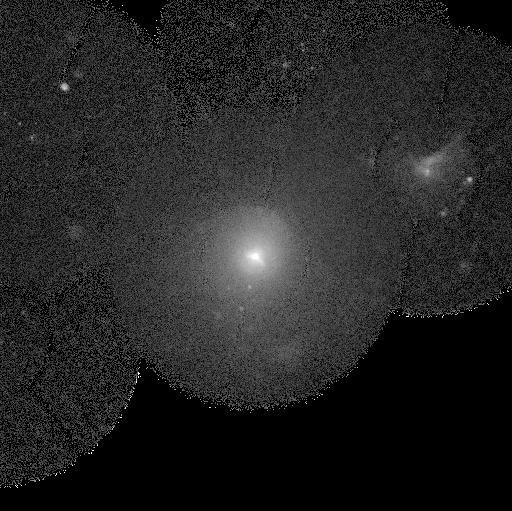 A closer look at the images above reveals that all the other Messier and some of the NGC galaxies are also X-ray sources which are significantly weaker than M87, but detectable in our image. 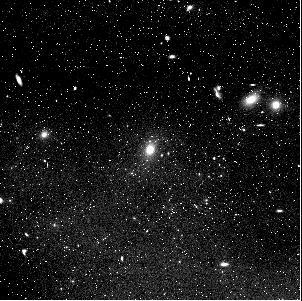 A notable X-ray source occurs north-west of M90 in the upper right part of our image; the present author cannot detect an obvious optical counterpart from our images. Note especially the comet-like X-ray appearance of M86: this galaxy seems to have a comet-like tail in X-ray images, and is the second-brightest after M87 in our image. As we know of its high peculiar velocity of over 1,500 km/sec in the Virgo cluster, it apparently crashes through the intergalactic gas in the Virgo cluster when traversing the huge gas or plasma cloud in the central region of the cluster. A closer investigation of the central X-ray emitting gas cloud is possible in the images if the central part of the Virgo cluster around M87.